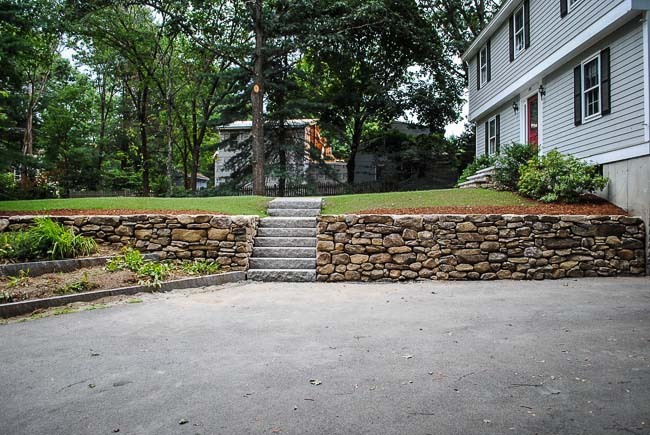 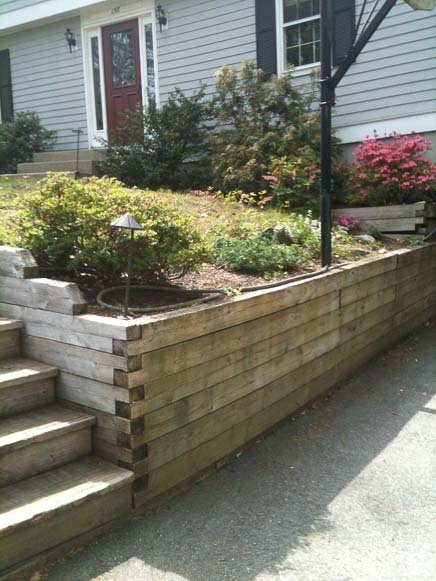 This residential project required a stacked stone retaining wall with granite steps. 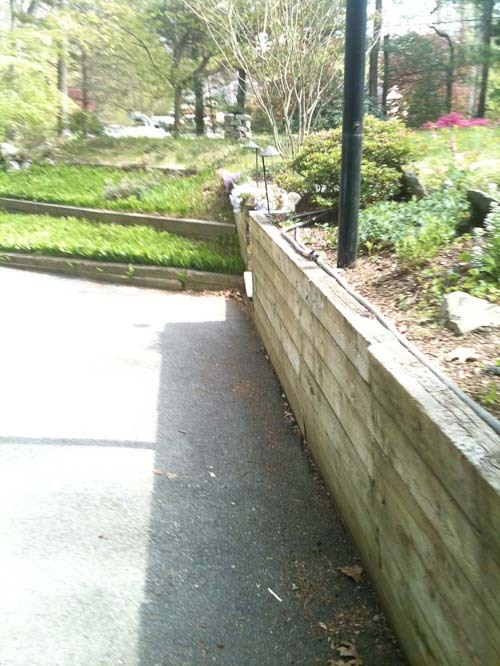 The wall was built custom to the client’s request to match an existing historic stacked stone wall elsewhere on the property. 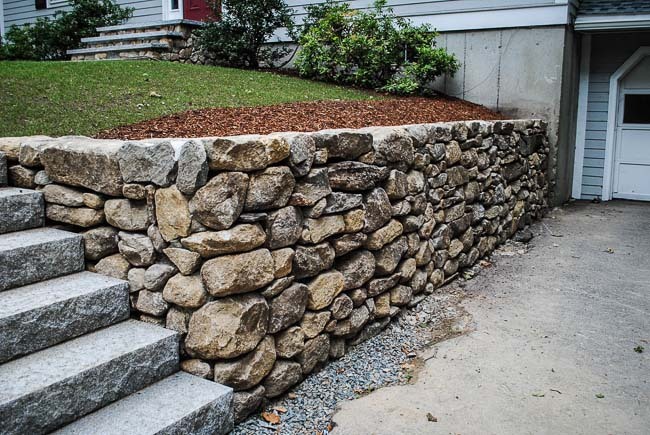 A mix of larger and small stacked fieldstone was used to create this stone wall.